It is a very interesting time to be a Christian Massage Therapist. There are very few resources for a Christian who is also a Massage Therapist to utilize that are specific to my discipline. The only one I am aware of is a small Christian Massage Therapists group on Facebook that I am a part of. Aside from that we have to depend on resources that are not specifically dealing with the issues we face. 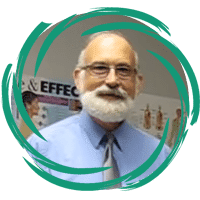 One of the newer things we are facing is the emergence of science based massage therapists who consider themselves to be Scientific Skeptics. They even have their own group on Facebook but a number of them are active in other groups as well. Many of them are very articulate and appear well educated. I often appreciate the contributions they make in threads. They frequently deal with massage related issues using the tools of logic and the scientific method. They frequently post or at least mention specific articles and research. I think we need more of that in our profession. As Christians, we too appreciate logic and science – or at least we should. The problem is that we place a different value on these tools and we use them differently. Let me explain. A Christian worldview entails that we believe what the scriptures teach. We accept that on the authority of God’s word revealed in the Bible. It gives us an interpretive grid. Our goal is to, in the words of the Apostle Paul, “Take every thought captive to the obedience of Christ.” Let me try to explain. If you were to enter my house from any of its 3 doors you would see certain indications of where you are at. If you come through my basement door immediately on your left would be an old VCR tape of my wedding. A little farther is a case with medals I earned in my time in the Army Reserve. Surrounding you would be bookcases on 3 of the walls with my name on the inside of many of those books. If you entered by the garage door you would find a number of filing cabinets with my files inside and yes…another couple of bookcases. Coming through the front door you will pass a mailbox with my name on the mail. Immediately coming through the door you would find my computer with my documents and a few more bookcases – again- with my name on the inside covers. You could try coming in by landing on the roof and rappelling in through the windows. If you come in through the bathroom window my name is on my toothbrush and on the prescriptions in the medicine cabinet. It would be similar coming in by the other windows. There are marks of my ownership everywhere from the name on my diplomas and my recently earned degree to the message on my phone. Its rising is from one end of heaven, And its circuit to the other end; And there is nothing hidden from its heat. For the wrath of God is revealed from heaven against all ungodliness and unrighteousness of men, who suppress the truth in unrighteousness, because what may be known of God is manifest in them, for God has shown it to them. For since the creation of the world His invisible attributes are clearly seen, being understood by the things that are made, even His eternal power and Godhead, so that they are without excuse, because, although they knew God, they did not glorify Him as God, nor were thankful, but became futile in their thoughts, and their foolish hearts were darkened…..(there is a long list of sins here)…who, knowing the righteous judgment of God, that those who practice such things are deserving of death, not only do the same but also approve of those who practice them. This knowledge is a guilty knowledge because they hold down or suppress this truth – in unrighteousness. Verse 28 is particularly telling, “they did not like to retain God in their knowledge.” I mention this in regard to scientific skepticism because the Bible teaches that they are deliberately holding down the truth in unrighteousness and denying the first principles that should inform life in this world. Yet they are walking around in God’s world with all of the evidences of his ownership and creation and they pretend that He does not exist. The tenants of scientific skepticism include atheism and a belief that only the material world actually exists. This is no worldview for a Christian – and it is a worldview. People accept a worldview at face value. It is a foundation that all of their thought rests upon so they do not question it. This is where we must part company. We know from scripture as well as from creation that The God of the Bible created all things and that all 3 members of the Trinity were active in it. Rather than holding down the truth in unrighteousness – we acknowledge that “The fear of the LORD is the beginning of knowledge…(Prov. 1:7)” The entirety of our worldview arises from God’s revelation of himself to us. This God has created a world that makes sense. It is a cause and effect place. It is a reflection of him and as such it manifests order and we can make sense of it by applying the laws of logic that arise from his character and apply the scientific method to understand his creation. Creation is his house and the facts are not there for just any interpretation. Much like you can’t come into my house and deny it belongs to me and give a history of my possessions that has no basis in reality – so the Skeptic has no business falsely interpreting God’s creation. The Skeptic believes that they can use the scientific method to understand reality. As Christians we would agree because we ground this understanding in the fact that God has created a cause and effect world and it is understandable. The Skeptic can’t justify his use of the scientific method. The method requires that we live in a cause and effect world. They have nothing to base this on – it is an assumption. They do not know if they will run into a new fact that will disprove what they are saying. If reality is only physical we have no grounding or foundation for the laws of logic. The law of contradiction – A is not non A - is the foundation of logic. It is only possible to ground this concept in the character of God himself. It is not physical and can not be subject to the scientific method. It simply has no reason for existence. We know from God’s revelation of Himself in his creation and in his word that there is non-physical existence. The laws that govern our thought are revelatory of his character. We use them regularly as he expects us to. What does this have to do with massage therapy? It has a good deal to do with what we think about the person on our treatment table. I can look at them as a unique creation of God that I have an opportunity to help. I believe that my actions during that time have significance and will have predictable results. If the Skeptic is right that person has no more significance beyond any other thing that happens to exist. They are just there and meaning is an illusion. At the end of the day we have to ask ourselves – can I live according to what I believe? As a believer that is an easy answer. God has created me and I have a purpose. Skeptics can only deal with physical existence. At the end of the day they want to believe they have meaning and purpose. Their worldview does not allow that. Jesus does. He died for sinners and paid the price for unbelief.